What is it about today’s school system that so many find unsatisfactory? Why have so many generations of reformers failed to improve the educational system, and, indeed, caused it to degenerate further and further into an ever declining level of mediocrity? 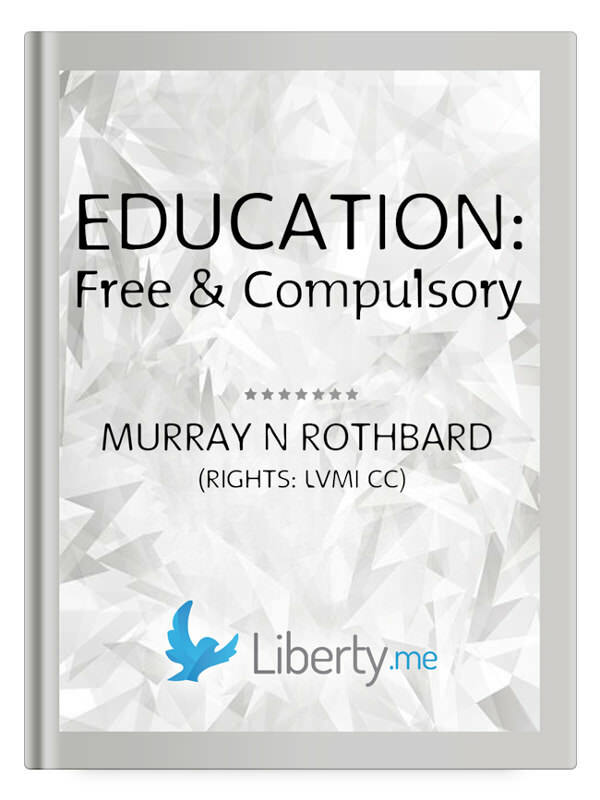 In this radical and scholarly monograph, out of print for two decades and restored according to the author’s original, Murray N. Rothbard identifies the crucial feature of our educational system that dooms it to fail: at every level, from financing to attendance, the system relies on compulsion instead of voluntary consent. Is college actually something worth pursuing, or is it an overpriced, time-wasting experience? Are there alternatives to modern college education that actually educate, empower, and prepare students for the world? Isaac Morehouse offers potentially life-changing ideas. Join Isaac Thursday, July 31st at 8pm EDT to discuss this path-breaking idea. Make sure you also check out Isaac’s Liberty.me guide, Rethinking Higher Education!